We recently launched a world-class referral programme for Expedia, the world’s biggest travel company. We couldn’t be more excited to have partnered with a brand that’s been revered as an ecommerce pioneer for over 20 years. 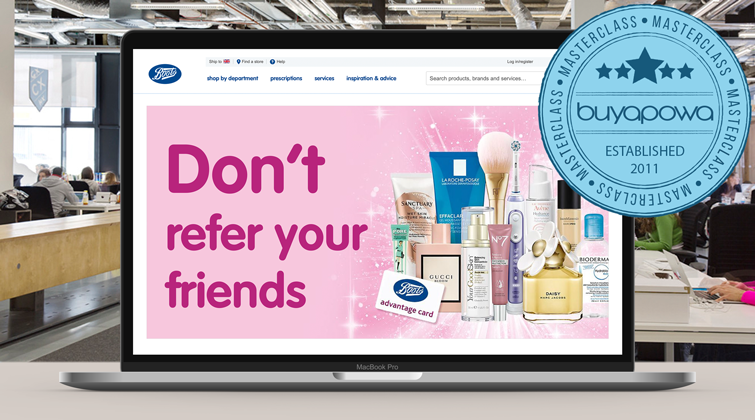 And we’re delighted to bring their millions of happy customers a refer-a-friend scheme that’s more powerful, more engaging and more effective than anything the travel industry’s ever seen. 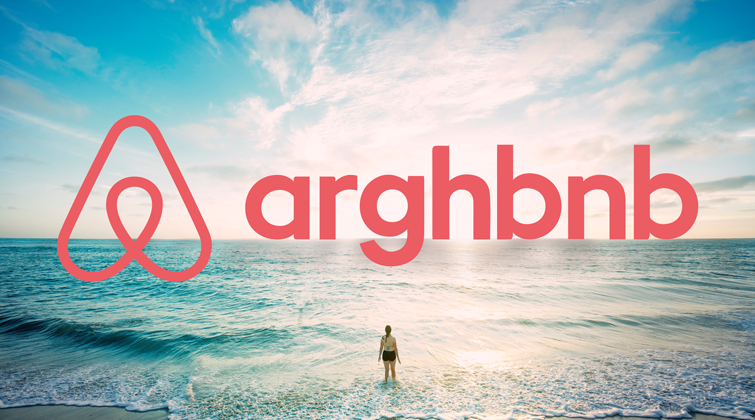 Of course, when you think referral and travel, one brand currently springs to mind: Airbnb, who became a household name on the back of their referral programme. In fact, Airbnb (along with Dropbox and Uber) just about wrote the referral rulebook – so you’d assume their scheme would be right up there with the very best. But here’s the thing: if you take a look at Airbnb’s referral programme, it’s actually starting to look worryingly out of date. Yoo-hoo, we’re working with boohoo! Smashing it since 2006, the UK-based fashion firm boohoo is both an ecommerce icon and a multi-billion-pound empire, parenting other hugely-successful brands including Pretty Little Thing and the US phenomenon, Nasty Gal. So, it goes without saying that Buyapowa are incredibly honoured to be powering their first ever refer-a-friend programme. As of today, millions of boohoo customers can introduce their friends and earn £5 credit to spend at boohoo.com (we’re guessing a lot of that credit’s going to be spent on boohoo’s headline-grabbing new collaboration with the ultimate It girl, Paris Hilton), while their friends will each receive 25% off their first shop. Better still, thanks to Buyapowa’s unique gamification feature, everyone who successfully refers a friend will get the chance to win a holiday worth £1000. Uber became a global behemoth on the back of its referral programme, where riders were rewarded for bringing in new customers. But what was once quite revolutionary now appears woefully behind the times and unfit for purpose. Let’s take a look at the cab-calling app’s programme and assesses where they may have gone wrong… and where you could go right. Back in 2012, if you’d walked up to a Londoner and said the word ‘Uber’, they probably would’ve started looking for neck tattoos and a copy of the UKIP manifesto sticking out of your pocket. 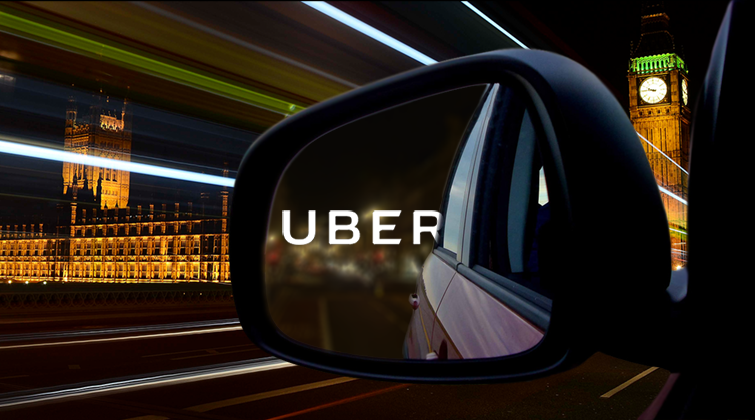 Today, everyone knows you’re talking about the £50 billion cab company – and, what’s more, they probably know why you’re talking to them about Uber in the first place. You’re shilling your referral code in the hope of earning a free ride. 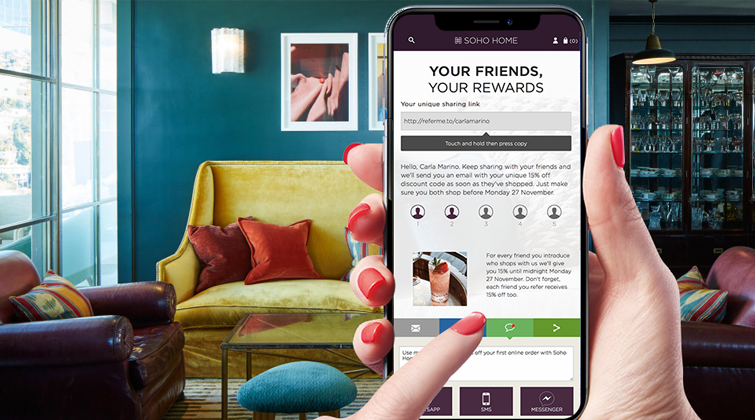 We’re delighted to announce that Soho Home – the interiors and lifestyle brand extension of Soho House – has joined forces with Buyapowa to launch its first ever refer-a-friend programme. For the past 22 years, Soho House has been synonymous with comfort, style and a certain intangible warmth that its competitors invariably fail to emulate. It’s there the moment you enter any of the group’s 19 clubs or hotels around the world, visit any of their cinemas, dine in any of their restaurants or indulge yourself at any of their spas and beauty parlours.